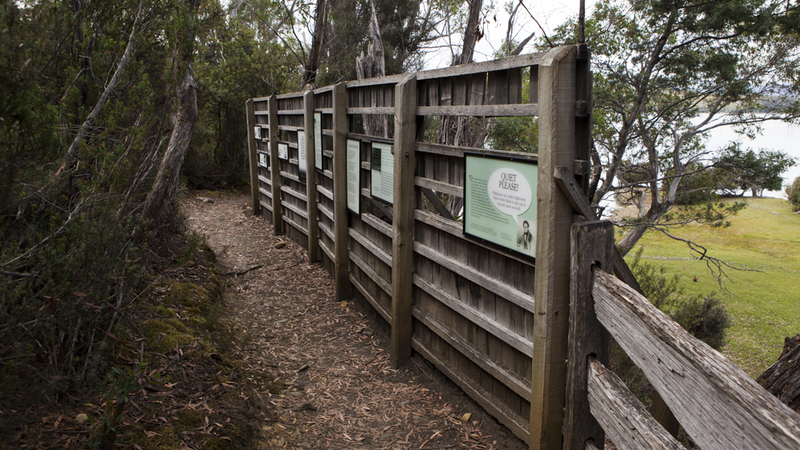 Located just north of the visitors centre, the flat 5km return walk to Platypus Bay provides hikers with opportunities to view native plants such as banksia, tea tree and wattles while scouting shores of Lake St Clair. 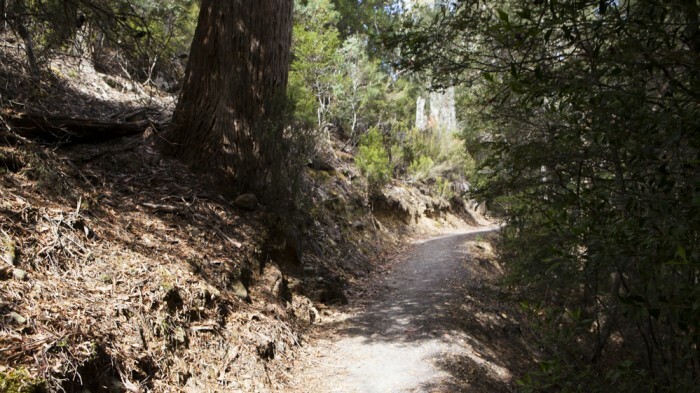 From the visitors centre at Cynthia Bay the trail heads first to Watersmeet 1.5km away, where the Cuvier and Hugel rivers join before feeding into Lake St Clair. After crossing the Watersmeet bridge, the trail curves to the right and leads towards the lake. Soon after, Platypus Bay and the platypus viewing hide are passed. If you are patient and quiet enough, you may be able to spot the local platypi during twilight hours. Continuing on, the sandy shore of Lake St Clair is reached next. This is a suitable location of a break. 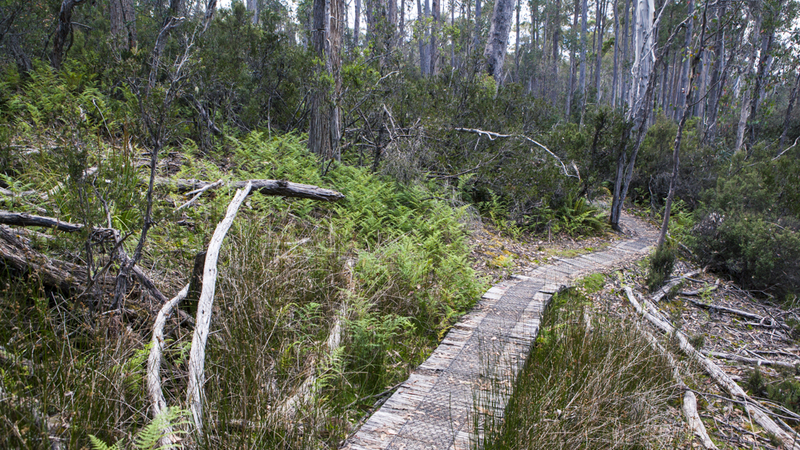 From the lake’s edge the track briefly climbs to meet the Overland Track. At the junction, follow the trail to the left to return Watersmeet and then on to visitors centre. View Google Map Directions From Hobart, head north on Brooker Avenue, taking the first exit just before the Bridgewater Bridge onto the Lyell Highway, continue for 140km to Derwent Bridge. Once at Derwent Bridge turn right onto Lake St Clair Rd. 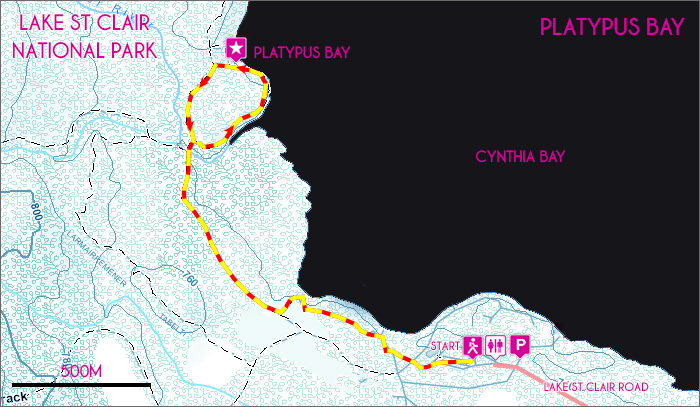 The Platypus Bay Trail begins just behind the main Parks and Wildlife Building.